Former CNN anchor Glenn van Zutphen explains how U.S. President Donald Trump's insistence on funding for a border wall -- which he'd initially declared that Mexico would pay for -- shut down federal government in Christmas week. 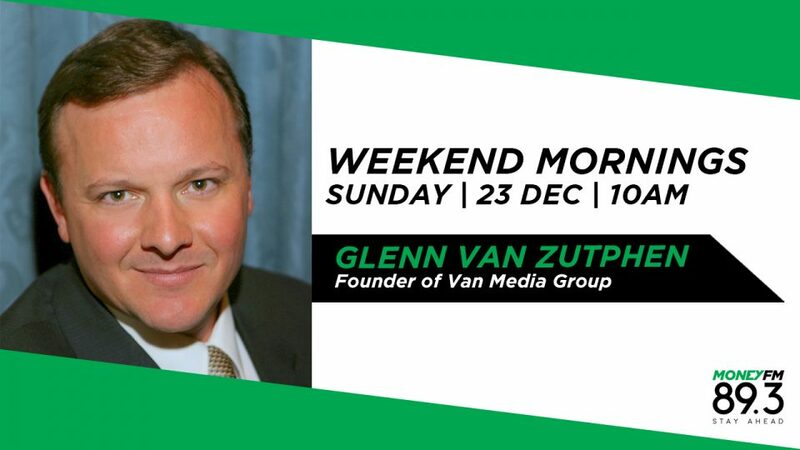 Van Media Group boss Glenn van Zutphen, the former CNN anchor, joins Jason to review the week's biggest stories, including the Indonesia tsunami, the shutdown of London Gatwick Airport and stock market turmoil. Former CNN anchor Glenn van Zutphen reviews an eventful week in international news, including the investigation into the death of Saudi journalist Jamal Khashoggi and the visit of Prince Harry and Meghan Markle to Australia. Top tips from ex-CNN anchor Glenn van Zutphen, of Van Media Group, of how not to put your audience to sleep or reaching for their iPhones when speaking at conferences and seminars. Former CNN anchor Glenn van Zutphen, of Van Media Group, joins Jason and former South Korean youth activist Mihyun Mei Chung to discuss the third Korea summit, Brexit problems and scrutiny over U.S. Judge Brett Kavanaugh. Former CNN anchor Glenn van Zutphen, owner of Van Media Group, outlines the three biggest mistakes that public speakers in Singapore make, and offers ways to better get their messages across. Digital transformation expert Kat Hawthorne van Zutphen & her ex-CNN anchor husband Glenn van Zutphen, founder of Van Media group, share insights on balancing family and career. Jason Dasey and Glenn van Zutphen discuss the big news stories of the week in International News Week in Review. Glenn van Zutphen with 5 presentation tips for business leaders. Van Media Group & ex-CNN anchor Glenn van Zutphen discusses the top news stories of the week and a preview of HSR decision from Malaysia. Has CNN Become Too Liberal? Van Media Group & ex-CNN anchor Glenn van Zutphen discusses if CNN has developed liberal bias? Glenn Van Zutphen, ex-CNN anchor and CEO of VanMedia Group gives us a weekly International news wrap. Singapore: Well poised to host the Trump Kim Summit? Nicholas Fang, Glenn Van Zutphen on global events in Singapore in the last two decades. Mihyun Mei Chung, Nicholas Fang, Glenn Van Zutphen with their take on the upcoming Singapore summit scheduled fo 12 June. Mr Glenn van Zutphen, ex-CNN anchor and CEO of Van Media Group joins us for another edition of International News Week in Review.